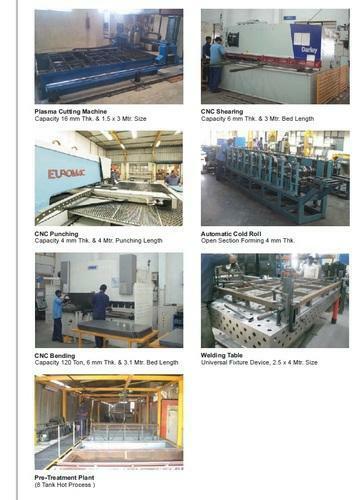 The finest range of Conveyors & Tables is manufactured and supplied by us at Metafold Engineering Private Limited, ever since our establishment of operations in the year 1991. The offered range is widely praised for its superior performance, service life, strength, capacity and speed. Its making is done as per the set industry norms and guidelines, utilizing the finest raw materials and modern machines. this ensures the product’s standard of quality. Further, the offered range is known to be marked at the most reasonable rate possible. The highly advanced infrastructural facility at Metafold Engineering Private Limited, has been parted into a number of highly operational units. 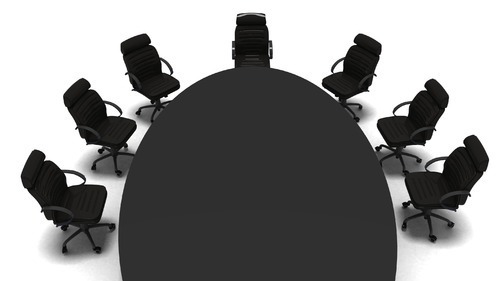 This process helps us in managing the firm’s operations in the best possible manner. To attain a better position in the market and maximize our production capacity, we keep upgrading the facility on a highly regular basis. The facility has been equipped with all the needed machinery and equipment, which facilitates the attainment of several of the firm’s predefined goals and objectives. In addition to this, our ethical working habits have helped us generate a huge client base. Under the leadership of our Director, Mrs. Charanjeet Kaur, we have attained superior level success in the past two decade of our existence. His knowledge of the field, ability to manage and ability to determine market changes has always been an asset to us. Manufacturing setup spread over 70,000 sq.ft. * Tie up with M/S Dexion, Germany for Motorized Mobile Racking system. Our team of highly experienced and trained experts at Metafold Engineering Private Limited, is recruited on the basis of their ability and willingness to perform. The team puts in its efforts to attain a number of the firm’s predefined objectives and goals. To manage the team’s operations in the most efficient manner possible, the professionals been sorted into several units, highly operational in nature. In addition, regular perks and benefits are provided, for reasons of keeping the team satisfied. The highly developed state-of-the-art infrastructural facility at Metafold Engineering Private Limited, undergoes regular up-gradation for reasons of maximizing the firm’s presence in the market. The facility laced with sophisticated machinery and equipment, facilitates the attainment of the firm’s goals and objectives. In addition to this, to manage the firm’s operations in a smooth, efficient and effective manner, the facility has been parted into a several highly functional units. •Appreciation Certificate From M/s Mahindra & Mahindra Ltd. for Delivery in Time. 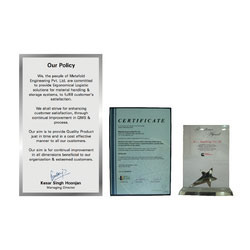 • Appreciation From M/s Cummins Generated Technologies Ltd. for Quality Assurance & Delivery in Time . Spread over 70,000 sq ft .